Monti Sibillini is most charming. Even in the summertime a fine cloak of snow still remains over its summits. Its highest peak Mt Vettore reaches 2476m. In the springtime the landscape is especially idyllic, the plain, Piano Grande, covered wild flowers and bounding animals and the streams meandering freely. In the medieval times Monti Sibillini was thought to be home to demons, necromancers, fairies and Sibyl, a fortune-teller who was said to live in a cave. At present peregrine falcons, royal eagles, porcupines and 1800 botanical species grow in the area making it the perfect land for nature-lovers. There is a wide range of activities to do in the area from gentle rambles to more strenuous hiking and much more. 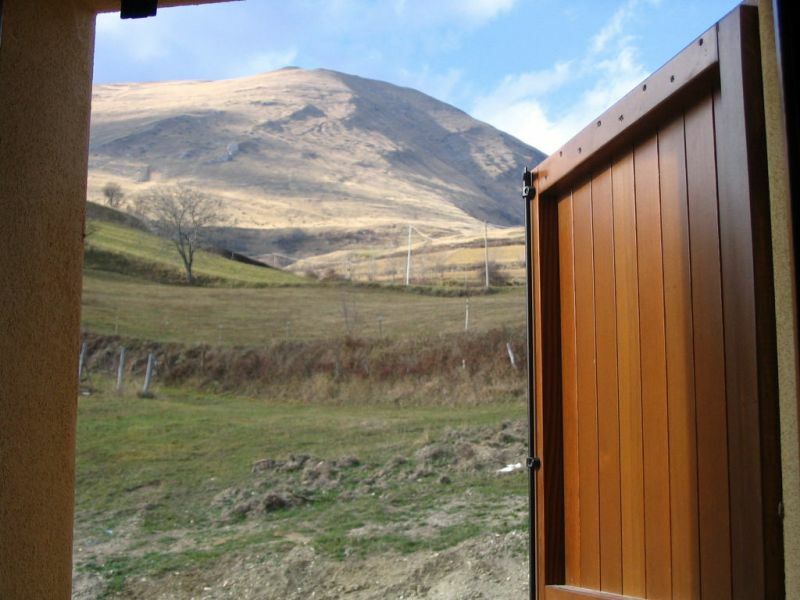 All the information about activities on offer can be found in Casa del Parco in Norcia, which includes information about Castelluccio. 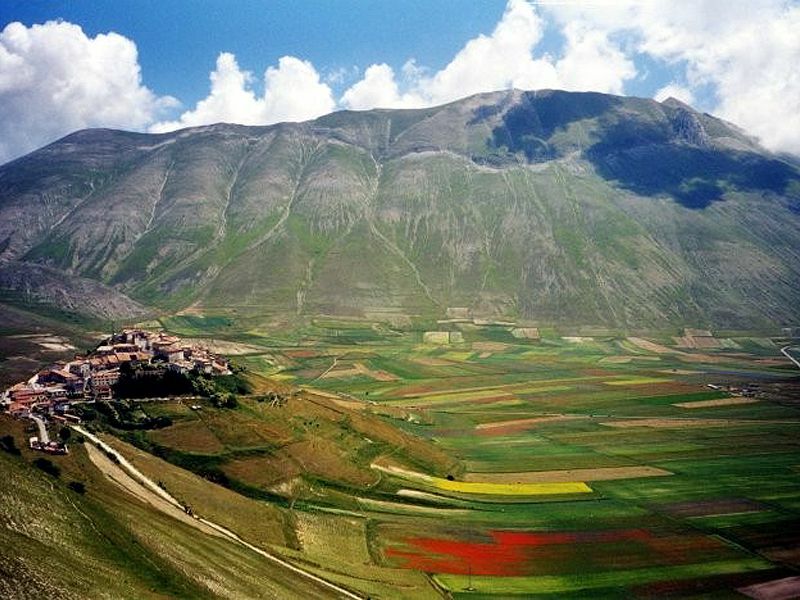 Castelluccio lies on top of a hill surrounded by Piano Grande. In the wintertime when temperatures can drop to -30º its position makes it difficult to get to neighbouring villages over the mountain passes even when they are only about 12 km away. Castellucio has always remained quite detached from other villages and towns. The village has increased its once modest number of restaurants and its accommodation options since it has become known for its delicious legumes and its pecorino and ricotta cheeses. Around the village there are many spots to go hiking, skiing, hang gliding or horse-back riding. Pro Delta, a known and reputable authority on hang gliding and paragliding offers courses for different levels of expertise and budgets. 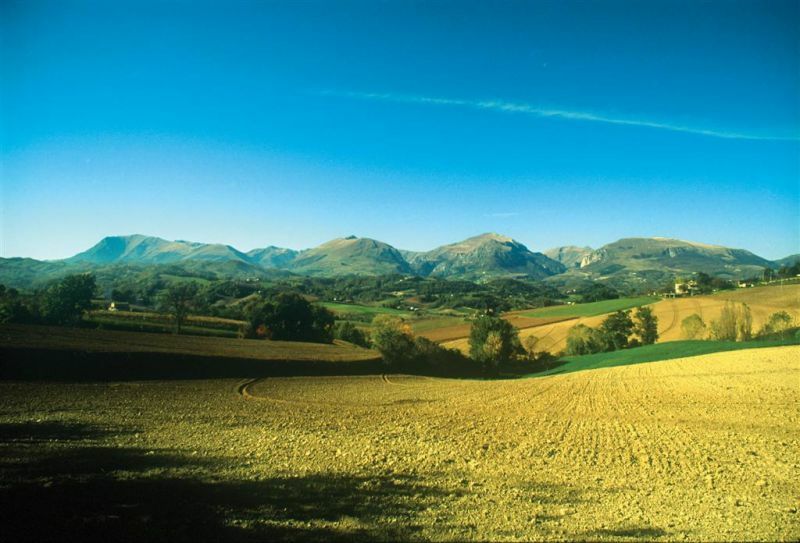 Fly Castelluccio located in Le Marche, a nearby area, also has courses for paragliding, hang gliding and para-motoring beginners ranging from 5 to 10 days long. The Associazione Sportive Pianigrande organizes horseback tours, day treks and bicycle excursions through the mountains. Taverna di Castelluccio is unattractive on the outside but deceiving as its food is excellent: lentil and spelt soups, truffle frittatas are must-tries here. BY BUS: from Norcia (twice on Thursday returning on the same day). The journey itself is lovely for admiring the mountainous region and the plain.